I Love Italy!! My fondness for this country deepens each time I visit. Maybe I did walk this land in another life, who knows? It sure feels like home every time I return. I’ve been traveling to Italy for fifteen years now and somehow the experience is always unique. My heart still skips a beat whenever I stand in front of the colosseum or wander the ancient forum in Rome. At apperitivo time, you will find me tucked away in some little piazza, sipping a delicious local wine and watching the locals living life. 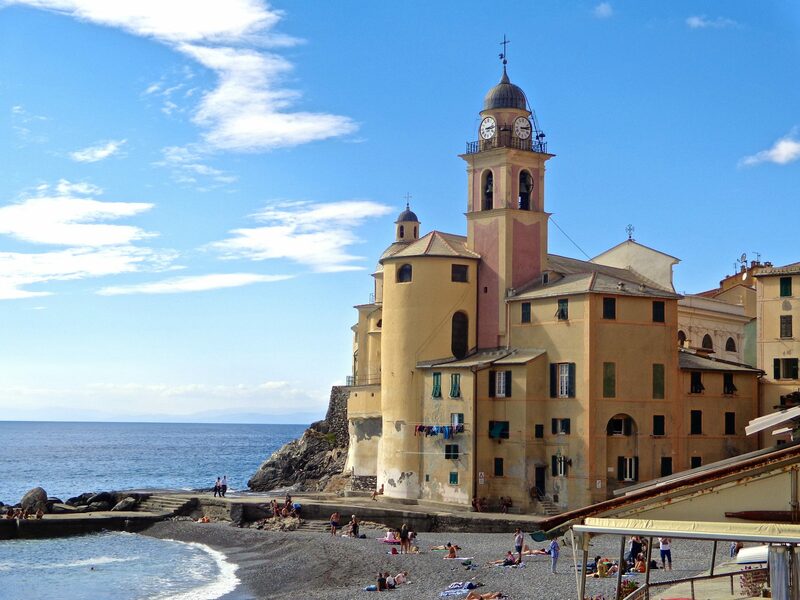 From the beaches to the mountains, Italy is made up of incredible beauty and a people that hold dearly timeless traditions and a deep love for their land. Here, you will find everything from touring fabulous wineries to exploring the southern whitewashed villages of Puglia. Meet the people and discover the secrets that make their culture so popular. Take a look around and enjoy the many pleasures of Italy. My pleasure, Filippo! I love your land, Italy. It is beautiful. Susan, I love your new look! I’ve always liked this theme. And what a great job you did on this About page. It overflows with the true spirit of Italy! Grav’d inside of it “Italy”. Thank you Stef! I will take a look…how exciting for you!! Ciao Susan! I wanted to say ‘Grazie’ for sharing your love for my country in your blog! I really love it! I hope you’ll be able to visit my own region one day, if you haven’t had the chance yet: Le Marche, on the eastern side in the center of Italy. I’m sure you’d fall in love with it and would be happy to read your thoughts! Hi Julie, thank you for stopping by. You sound a lot like me as I, too, feel somewhat that i’m being directed to another form of sharing my writing. I know my love for Italy will always remain in my heart. I can never let go of the joy and beauty, of the ancient ruins, the slow way Italians savor each day. And I always dream of returning. It’s like reuniting with an old friend. Blessings to you! I love your BLOG Susan. I also have no Italian blood in me but love Italy so much so I bought a second home there. There is something wonderful about the people, the food, the wine, the gelato and the beauty of this country. Thank you George! How wonderful to have a second home in Italy. That would be a dream come true. You have a passion just like myself….the people, wine, cuisine, culture, beauty and just everyday life in this beautiful country. Ciao Martina, I love your country! I’m not a speck of Italian that I know of, but i’m convinced that I walked this land in a prior existence:) It is one of my greatest passions. Congratulations on a fantastic blog! As a struggling new blogger your site is very inspiring! Thank you Richard! I very much appreciate your words. It’s a lot of hard work, but I do love it. All the best on you new blog. I am so happy to have discovered your blog tonight. I am just diving into this blogging thing, a few years behind. Your blog is a great inspiration to me. What a beautiful person you are, inside and out to create such a blog that truly captures how I feel about Italia. Mille Grazie! How sweet of you! Thank you so much…i’m glad to know that we share the same passion for Italy. Glad I came across your blog as we are going to Italy next week, second year in a row. It’s become a tradition every July. We love it there too :). Hello Debrorah, thank you for the head’s up! Your theme is exciting, and I will definitely get in touch when I do. Oh, and I’m gathering articles by travelers and expats for the site. Perhaps you have an article I can publish? Have a look at the Travel Writing page on my site and let me know! Bon journo Susan…thanks for liking one of comments on a common friend’s post, which in turn prompted this visit to yours..best wishes… Raj. I’m launching a service in Italy and I was wondering If I could have your insight about it? Would love it if you emailed me. I found your blog as I was doing research for Italian-themed blogs, and I’m so glad I did! I own Italy Book Tours and I am contacting you today to see if you are interested in spotlighting books on your blog that are set in Italy or written by an Italian author. Please contact me at italybooktours at gmail dot com. I would love to chat with you more about this since, like me, you’re passionate about everything Italian! Thank you so much Diana. I checked yours out as well…it is beautiful! Glad you dropped by. I am so excited and happy to chance upon your blog. I share a similiar passion with you for that country. Cheers! Keep writing! Thank you Ishita! Glad you stopped by, and I love your enthusiasm. I see…yep, Italy has a grip like a vice! It’s impossible to forget. I’m supplied with exotic memories that will last a lifetime. Your passion for Italy is infectious! Rome is my second favourite city…after Palermo! Thank you…I love them both! You have a lovely blog. Asolo is gorgeous…in fact, after I read your post I looked it up on the internet and saw it through a virtual camera. So glad you stopped by my blog. Looking forward to getting to know more about Treviso! No doubt I will…have a wonderful weekend! Yes, I know what you mean:) So glad you dropped by, and thank you for your compliments! Do you have a favorite area that you like to revisit? Neither of us have a drop of Italian blood either, but we also love the country. going through your blog this morning you have introduced us to several new places, and shown us some old friends. Thanks! Glad I am in good company….and good to hear that you are reaping positive benefits from reading this blog. I am excited to get to know you and your travel adventures as well….wonderful to compare notes! Thank you for your comment…chat again soon. I just love your blog! So beautiful and informative. I’m going through all the posts now after reading Strolling the Backstreets of Rome. Thank you for a gorgeous blog. And thank you for stopping by mine. Thank you so much! It means a lot to hear your kind words as I think so highly of your writing. I’m looking forward to reading more of your posts…. A fascinating site. Do you live in Italy or are you a regular visitor? Susan, Thank you so much for commenting on my Mother’s Day post. I am thrilled to discover your blog. We seem to have the same passion for Italy. i look forward to reading more of your posts! Hi Therese, Yes I know you get it!! For me the curiosity never ends….and I hope it never does. So good to hear from you….must catch up sometime.